All of the boys that he has played with on teams over the years have changed and grown out of all recognition. Except for their batting rituals. Even when they have sprouted a foot or two and have size 11 feet, their quirks at bat still give them away. They’ve all got stronger, faster, more accurate, etc, but they still have their same funny routines when at home plate. Whether it is a balletic reach from a 6-footer, with arm and opposite leg balanced in the air (yes, it is as funny as it sounds), or a skyward glance and a bat-tap on the home plate, they’ve pretty much all been true to their pee wee-league selves – even if they now crack one over the far fence instead of nearly knocking over the umpire. It is hard to shake off completely our former selves, especially when it is a comfort, a part of who we are. On the plane(s) home I was thinking about how we hold onto a lot of our formative selves; our rituals giving us away even as we climb a career ladder or try on different lifestyles. I realise that my childhood gang would recognise me even now, with my middle age waist and deepening wrinkles, because I poke my tongue out of the side of my mouth when concentrating. Just like in a comic depicting someone thinking really, really hard. My grandmother used to do that too, when rolling out her exquisitely light buttermilk biscuits. I used to stick out my tongue when drawing and when tying my shoelaces (remember those!). Now I do it when reading a difficult academic paper, driving in rain or snow, and yes, when rolling pastry. I also have always eaten all of my vegetables first and then move onto the protein and starchy stuff. I don’t know why but I think it is because I have always loved vegetables, and perhaps inwardly want to make sure that if my plate gets wrenched away for some reason that I am able to at least eat my favourites. The last time I rolled out pastry I caught myself in flagrante delicto. Or rather, Mr A caught me and shook his head. I tried to reel it back in but I found I couldn’t concentrate. I needed that ritual, that comfort. Food can be like that too. Take away all of our comforts – even if doing so is better for us (no sugar, no added salt, blah blah) – and we take our eye off the ball. Life is fast, furious and relentless. Most of us need a little constant in our lives when all else is spinning, and not always in our control. Sure, we can adopt new and healthy habits and comforts but I am definitely of the a little of what you fancy school of thinking. As long as we are aware of our rituals, our comforts, and not allowing them to control us. Snacking and sweets are a comfort to many of us. Nearly all of us can relate to the child with the scraped knee being offered a sweet or treat to sooth them and take their mind off the trickle of blood coursing down their leg. Maybe now that doesn’t happen so much. Perhaps it is a shot on the iPad instead (if they don’t already have one, of course). But it is good to feel in control of our emotional connection with food. To be able to have a hard day and think, actually instead of having a bar of chocolate I will go for a head-clearing walk. Or I will make a healthy-ish treat to share, as well as get rid of some frustrations by rolling out dough. Or both. I opt for both 😀 I know this is all a bit tangential but I hope I can plead jet-lag as mitigation! And speaking of treats, I have some to give away. I don’t usually do giveaways but when the folks at Natural Balance Foods got in touch I thought it would be something you all might like to try. These scrummy Natural Bars bars – just raw fruit and nuts smooshed together – are not to be used as emotional crutches. 😀 Eat these with a happy heart and enjoy the 100% natural ingredients and no added sugar. The food to glow first choice for sweet snacks is something raw like a plum, or homemade like my recent apricot and citrus bars. Or even a fistful of my good-for-you granola. But truthfully we usually have a few Nakd bars kicking around. Miss R likes to stick one in her school bag occasionally, and I often have one (Nakd Pecan Pie is my fave) in my work bag if I haven’t got around to making anything treat-like. This giveaway is for anyone. You can live in India, Singapore, New Zealand, the UK – wherever. Just leave a comment on this post: about the tart, your own rituals (keep it clean! ), the giveaway, or anything vaguely related and you are in the running to win a pack of 18 different natural bars, including two new flavours that I am wanting to try (Rhubarb and Custard and Caffe Mocha). All bars are gluten, wheat, dairy and GM-free, with no added sugars or syrups. Incidentally, I see on their website that they now deliver to the US, and for October and November delivery is free. Woo hoo! I’m whipping this little sweet thing over to Heather for her Sweet Wednesday Link Party to join all the other goodies already lined up. Go over and join in! In this quick and easy fruit tart I have used puff pastry, but do try it with phyllo pastry sheets if you like, lightly buttering each layer (I suggest 5-6 layers). And change out the pears for wafer-thin apples, or even cooked quince. You could also mix a pinch of cinnamon or cardamom in to the tahini but, as regular readers know, I am perhaps a bit overfond of the latter and am giving it a rest today. To make it even more luxe, drizzle with or almond or cashew cream* when serving. 1. Roll the pastry out on a piece of baking parchment until it is a bit thinner; trim away uneven edges. Score a frame into the pastry about 2 cm from the edge, taking care not to cut all the way through. Lay on a large baking tray. Prick the inner frame of the pastry all over with a fork. Pop the pastry in the refrigerator while you prepare the pears and tahini-honey. 2. Quarter each pear and carefully run a sharp knife under the fibrous core to remove it and the stem. 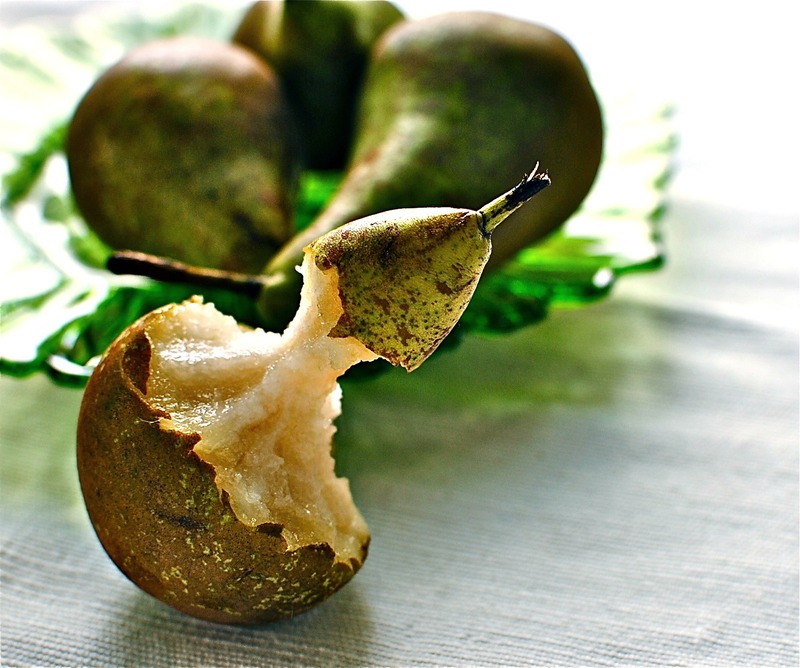 Thinly slice the pears, place slices in a bowl and toss in the lemon juice. Set aside. 3. Warm 50g (1/3 cup) honey, the tahini and the vanilla in a small pan, stirring until well-mixed. You can do this in a microwave on a low setting, but I don’t have a microwave so can’t advise how long. 4. In another small pan, or the microwave, heat and mix together the butter and 2 tsp honey. 5. Remove the pastry from the refrigerator and spread over the tahini-honey mixture, leaving the edges uncoated. Lay over the pears in a shingle pattern (see images) and brush with the butter and honey mixture, this time slicking the edges of the pastry. 6. 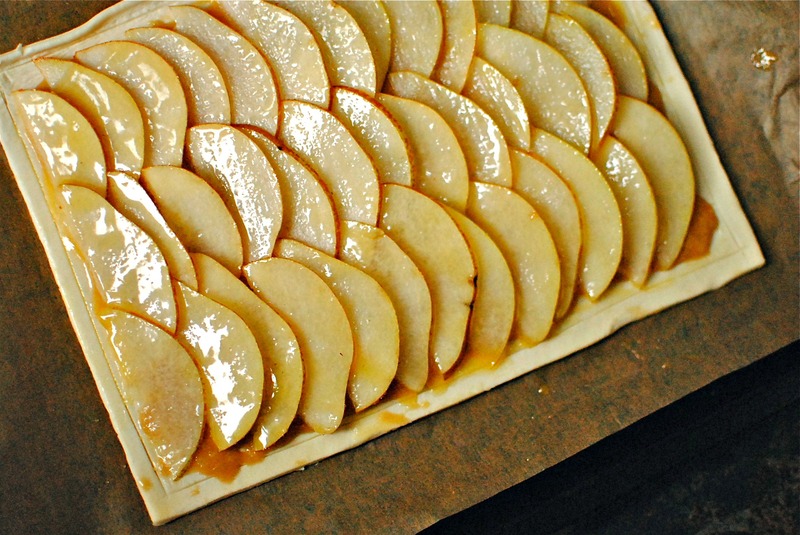 Bake in a 200C/400F oven until the pastry is browned and the pears are tender – about 15 minutes. Timing will depend on your oven and the thickness of your puff pastry. Check at 10 minutes. Let the pastry cool for about 10 minutes before slicing and serving. * Cashew cream: Blend 1 and 1/2 cups of raw cashews with 2 cups of warm, filtered water. Add in a touch of maple syrup and a tiny pinch of salt, to taste. Wow, Kellie, your holiday really agreed with you because this is such a fun and creative twist on a fruit tart. I’m absolutely making this and will let you know how it turns out. Glad you’re back! So easy, but you need to blend, blend, blend to make it super smooth and cream-like. I have a vitamix but I tend to do it in my little immersion blender chopper attachment. Works just fine and dandy. I would never have thought to use tahini in a sweet recipe! But I bet it gives the tart a nice nutty flavor- very creative of you! I’ll have to keep that in mind! i know! I don’t know where I got that flash of inspiration but it really does work with the honey. Kate, who has commented, mentions almonds and I do think almond butter would be fab here as well. This tart is so unique!! This looks delicious. I love sesame seeds, so I can imagine that this is a perfect sweet application. I’m a total pear and almond addict as well, so I can see going that way with this recipe as well. This looks absolutely heavenly and beautiful! RIP Lou Reed…perhaps if he had eaten more tahini tart and less of the grapey liquid goodness he would still be here but many bright candles burn out early, at least he made it past 27…I love the look of this tart. I don’t eat pastry and am a savoury girl at heart but the combination of tahini and honey is heady, scrumptious and utterly exotic and even though you are giving the spices a rest, they would work perfectly in this tart. Anyone can enter? Count me in! I used to be a “bung it all in together” girl. I also used to make pastry that you could prop the table up with… even the dog would turn his nose up at it when I tried to coax SOMETHING to eat it. I learned to weigh the ingredients, I learned to pay attention to what I was doing (no phone conversations whilst adding water is a good thing to remember 😉 ) and over time, my pastry started to get better. Now the dog sees the bowl coming out and starts to salivate. The tongue poking is a mark of intelligence (must be…I do it 😉 ). I also wave my arms around wildly when playing computer games so a degree of passion must be taking place when we stick out our tongues (or accidentally let go of the gaming controller and knock out the dog…). Life is full of opportunities to excel and learning to harness the potential of whatever we do regularly is a step closer to true happiness. I am a step closer to true happiness by being able to enter this competition. I haven’t ever tried a raw food bar before. I have made fruit and nutty type snack balls but never tried the commercial kind. Those flavours sound delicious though and pecan pie… what’s not to love? Cheers for sharing your loot with us all and for the chance to let us foreigners (who usually just have to content ourselves with licking the monitor sadly whenever competitions are running) have a chance to enter :). Thanks Fran. You know I’m a savoury gal too but a teeny slice of this simple tart satisfies the small cravings I may get for something sweet. The bit of salt in the pastry helps! So funny about your poor dog. Just promise me that if you win that you will not share with him. As they aren’t available – as yet – in NZ he would be begging for nothing! RIP Lou Reed. Crazy body-abusing guy, beautiful intriguingmusician. This looks delicious! Can’t wait to give it a go! Such a fun fall treat. This looks divine, and the flavour combination is so special! Can’t wait to give it a try! I only “found” tahini since moving to the Middle East and now love it in sweet or savoury dishes. I made some homemade muesli bars the other day with tahini as the base and they were delicious but the flavour combinations of the Nakd bars are mouthwatering – Rhubard and custard in a bar – how good does it get. Maybe the only thing that gets better is pecan pie in a bar 🙂 . 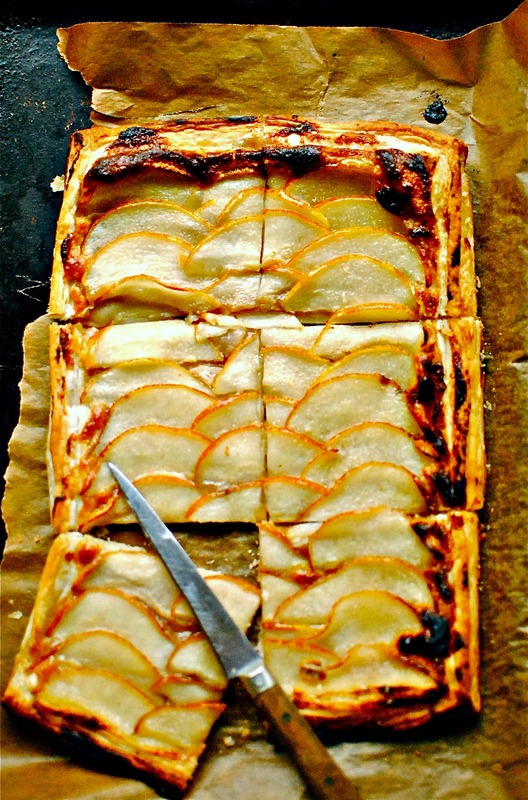 Looking forward to making this Pear tart and also giving the variation a go using almond butter. 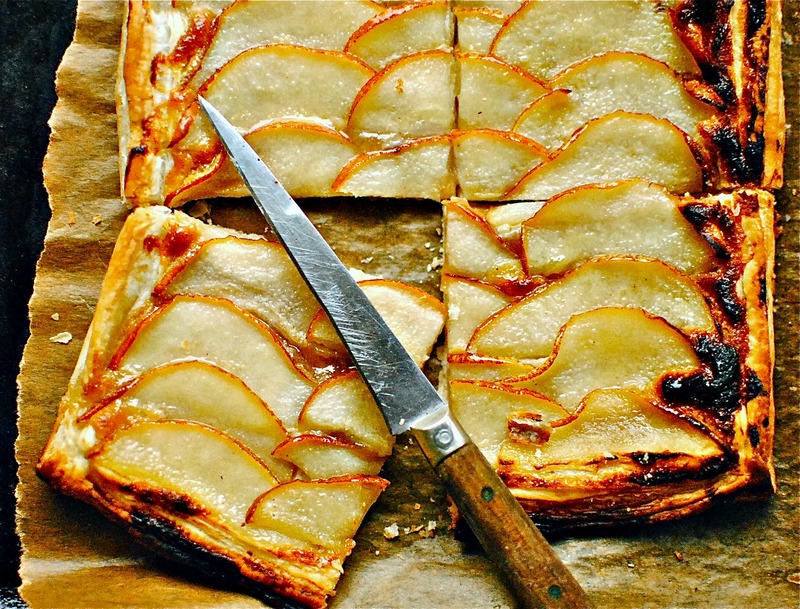 A beautiful tart with a lovely sounding flavour combo, I look forward to trying it out. Nakd bars are a favourite expedition munch for my boys when they are off trekking in the Highlands so my fingers are firmly crossed. I’ve just looked at their website and I see they have some new flavours, yum! Those new flavours do sound fab. I was just in the shops today and should have looked out for them to buy one to try. I can’t get away with nicking one from the giveaway pack either – entombed in tons of bubble wrap! Kellie, welcome back. I’m delighted to hear you had such a lovely time with your family. Your recipe is just the kind of thing I like to bake… simple and delicious…. without being sickly sweet. My rituals? There are many, but I do tend to talk to myself… have done since childhood. Now, don’t go thinking I’m a lunatic (*smiles*), for I’m not…. it’s just something I do. This recipe looks so good. I can’t wait to try it. Perfect recipe! I have tons of pears and didn’t know what to do with them. I’m going to try this asap! The tahini is such a great idea! I might just add the cardamom– I’m also obsessed. Just the mention of a tahini-honey combo activated my drool button, slurrrrrrrp! I was actually eating a nakd bar while reading this lovely post! Tahini in a tart! What an awesome idea. You come up with the most wonderful recipes. Would love to participate in the giveaway. When I focus on something real hard, I stop blinking and I don’t feel the need to blink for a very long time. NOt a good habit but that’s a ritual that people around me know that I have. When I am not blinking and I have a spacey look in my eyes,it means I am on to something very important. 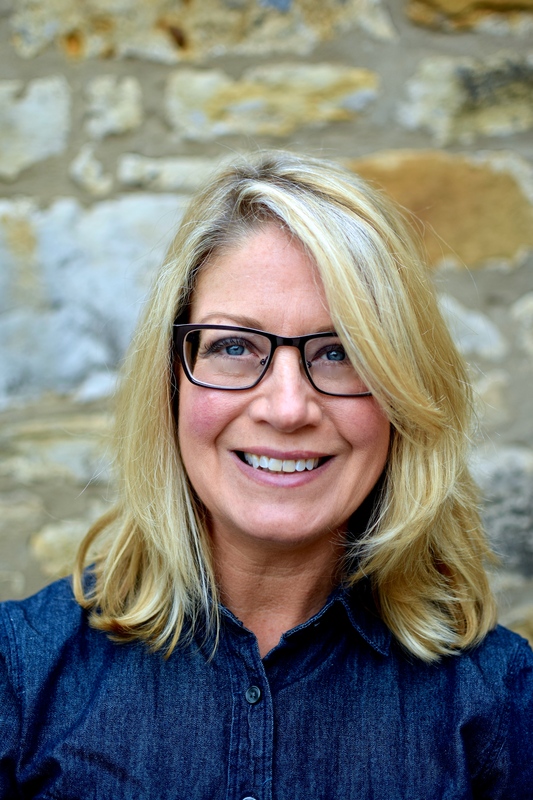 I must sound like the person with the most quirks – I stick out my tongue, I talk to myself (see Liz’s comment), and I also hold my breath when concentrating too! I hope I don’t stop blinking now that you have mentioned it ;D Thanks also for the kind compliment too, Anita. Lovely to hear that, especially as today I seem to be doing nothing right! This flavor combo sounds great. I haven’t used tahini with sweet before and can’t wait to try! Great idea. What a gorgeous tart Kellie – I’ve never tried tahini in a dessert, but love that idea! I just went to the store and we’re making it tonight! Tripp loved the post and was so proud to have everyone at his games. We already miss y’all! i’m glad you had such a nice visit with your family. I’m not at all familiar with that brand of nutrition bars but would love to try them. Rhubarb in a commercial product – yes I would be all for sampling some those!! The nutrition bars sounds healthy (but tasty). I usually try to eat fruits as is but it’s sometimes hard to transport. Great ideas and lots of options with swapping up for phyllo pastry or other fruits. YUM! That was a delicious pear! Sometimes the ones that seem the puniest and hardest are the most tasty ones. It was a dinky little conference pear. Wonder who thought of such a boring name for a great pear?…I think I used something a bit ‘posher’ on the tart though ;D PS I think I’m going to have to go and buy one of the rhubarb and custard Nakd bars and report back to everyone. Many of you all are intrigued. That flavour combo in a healthy bar seems too good to be true! Loved your story and hearing about your rituals. Not sure if this is a ritual, but I have always been a forehead wrinkler when deep in thought, and I remember my friend in college telling me I shouldn’t do that because I would have a permanent wrinkle when I got older. Guess what? She was right! But that’s what bangs are for 🙂 Scrumptious tart!!! 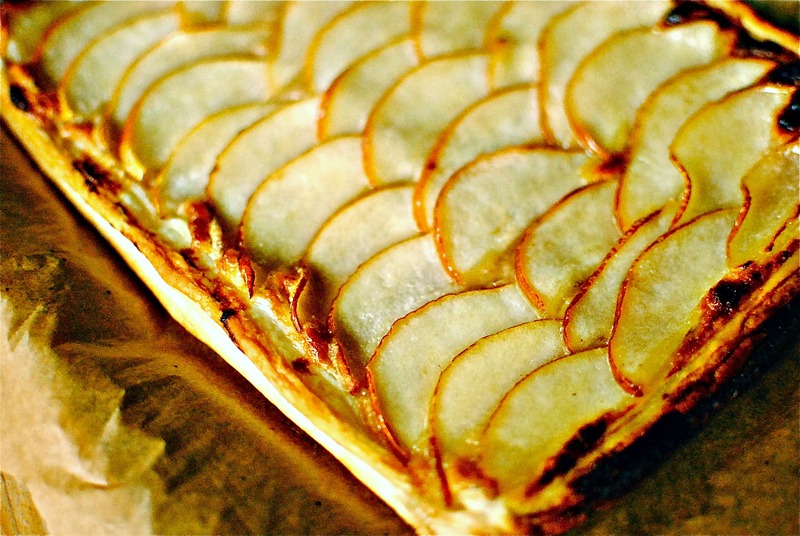 Wow Kellie, this pear and tahini honey tart is so beautiful and looks de-lish! Thanks for linking it up to the Sweet Wednesday Link Party! Welcome back fro your trip. What a superb recipe to bring us on your return! I love it and also your sweet snacks. I would always try to make some if I can and although I know I would love Nakd Bars, I find them very expensive so tend not to buy them. I don’t use pears enough so you have made me realise I need to change that! I never would have thought to put pears with tahini, but I bet the combo is delicious! Your tart is just gorgeous! Welcome back! I’ve just returned from visiting my sister in Cape Town. Such a wonderful city with fantastic eateries (all washed down with great South African wine!) It was such a joy to spend time with my little sister (all of 36 years old, she’s still my baby sister! ), catching up, cooking for her and her husband, shopping. laughing at daft things no-one else seems to find remotely funny…retrieving my vintage clothes from her wardrobe where she had hidden them in a vain attempt to keep the…just like old times! Does this count as a ritual as I have to do it every time I see her?! Glad to have you back and look forward to trying out some more of your delicious recipes. One unseasonably rainy day in Cape Town last week, I made a wonderful beetroot risotto with pearl barley which also had the tops, cooked separately with garlic, onion and currants as a side dish. Wasn’t at all convinced by the latter as I was cooking it but, it was fantastic. I love it when the weirdest of combos taste unexpectedly fantastic – just like tahini in desserts! This looks fantastic. I need to get my tahini out and it has been on my mind to make cashew cream for a while and this would be the perfect excuse! And such beautiful pictures, very inspiring! The tart looks amazing!! 🙂 And I love all the flavors of the Nature Bars, I can’t decide which one I like best they all sounds delicious! I’ve been on the hunt for a really good energy bar, so happy you introduced me to these!